The idea to build an SPG capable of defeating long term fortifications was born in the minds of German designers even before the war. 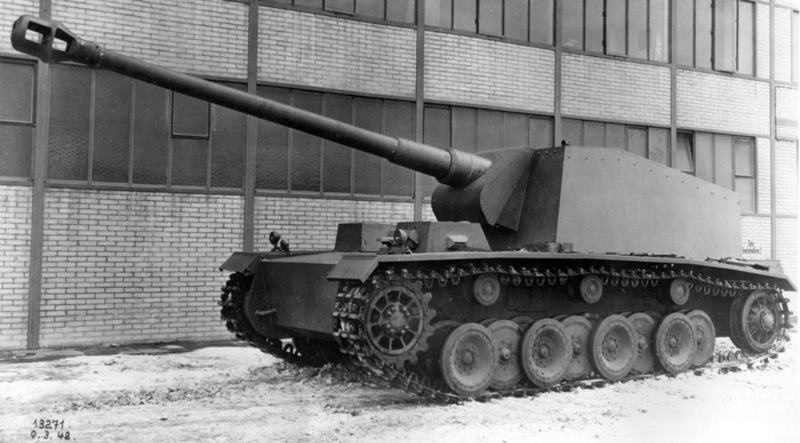 In 1938, Krupp began working on an SPG armed with the 105 mm K18 gun. The vehicle used the PzIV as a chassis, and was created with a specific goal in mind: the defeat of long term fortifications. The vehicle was indexed Pz.Sfl.IVa. 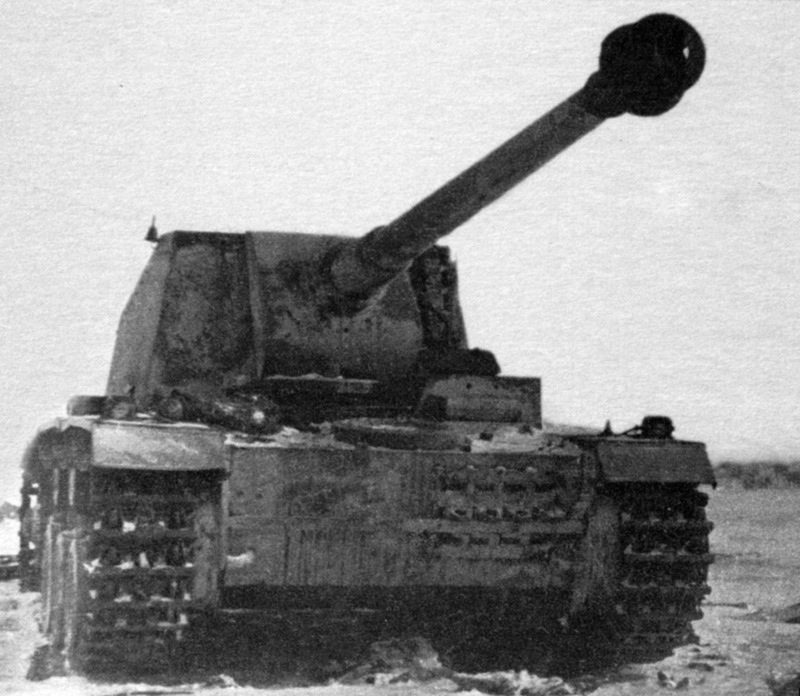 However, the Germans knew that the 10 cm K18 was a powerful weapon, but not powerful enough to deal with the toughest of targets. The idea of a heavier bunker buster was pitched in 1939. 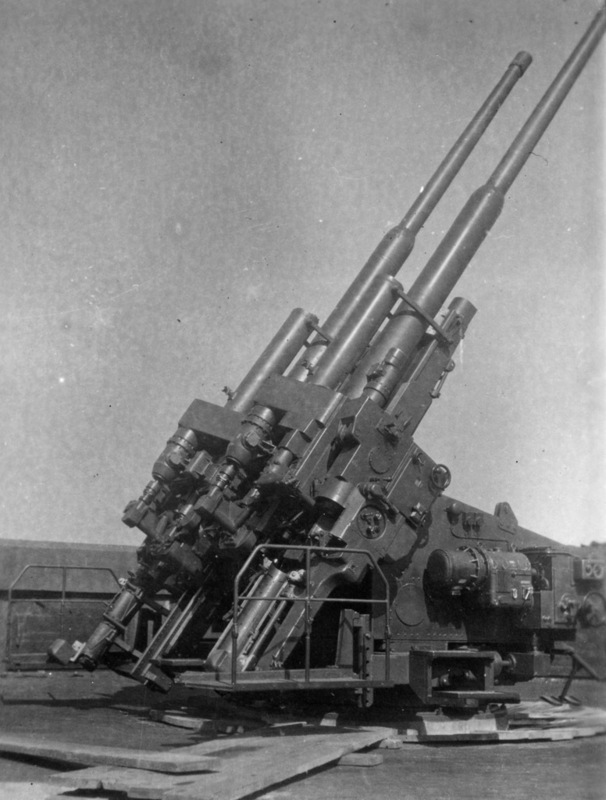 12.8 cm Flakzwilling 40/2, the most commonly known variant of the Flak 40. These guns were used in the AA defenses of Berlin and Vienna. Its armament was found fairly quickly. Work on the 128 mm Flak Gerat 40 was in progress, which was eventually adopted as the 12.8 cm Flak 40. 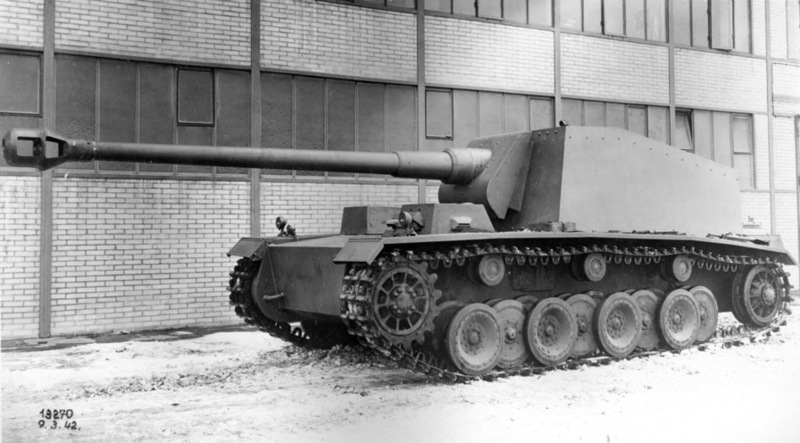 The gun was designed at Rheinmetall Borsig, and a prototype was built there in 1937. The gun had exceptional characteristics, but was incredibly heavy. It weighed 12 tons in combat position. Using the AA gun as a starting point, Rheinmetall Borsig designed a variant called 12.8 cm Kanone L/61. This was the most powerful SPG gun used in combat. Its armour piecing shell could penetrate a 130 mm thick armoured plate sloped at 30 degrees from 2 kilometers. The gun's characteristics were similar to the Soviet 130 mm B-13, which was one of the two guns recommended for Soviet bunker busters. No tank from the Allied side received sufficiently powerful armour to resist such a gun. However, at the time of creation, the main target for this SPG would have been fortifications, not tanks. The reworked AA gun was ideal for this task. The bunkers of the Maginot Line would not have held against it. The drawback was its mass. It was lower than the AA gun, but still very heavy: 7835 kg. The PzIV chassis was unsuitable for such a gun. The two piece ammunition was also a bad idea in such an SPG. The Pz.Sfl.V at Alkett, March 9th, 1942. 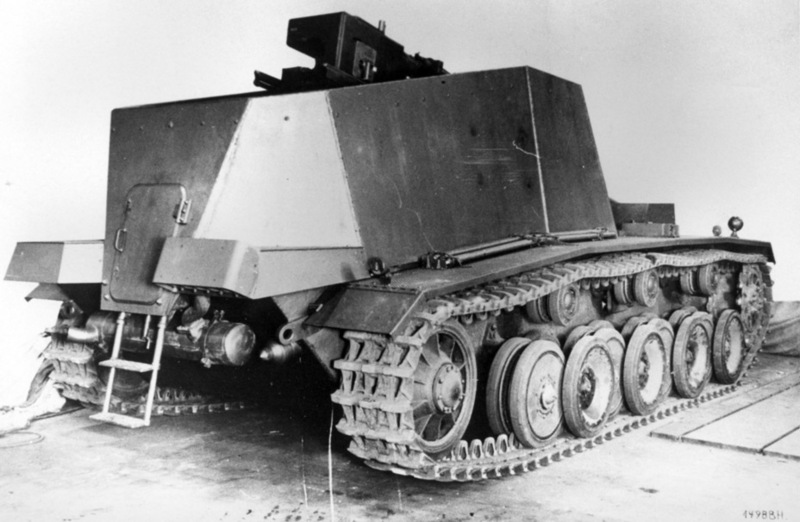 The only suitable chassis for the schwerer Betonknacker (heavy concrete buster) was the VK 30.01. Henschel's design just underwent a major change in 1939, receiving the blessing of the Motorized Forces Inspector (Inspekteur für Heeresmotorisierung, In 6). However, the tank continued to evolve past that. 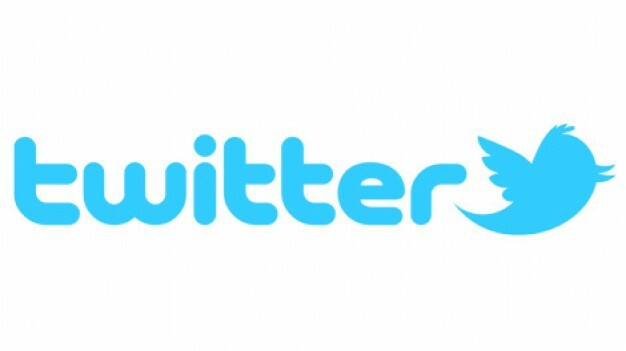 The suspension was finalized in January of 1940. It's not surprising that development of the SPG took so long. In reality, the development of the vehicle that was indexed Pz.Sfl.V began only in 1940. Henschel was responsible for the chassis. The same vehicle the with the gun at maximum elevation. It was clear from the beginning that the vehicle would not have exceptional agility. According to calculations, the SPG would weigh 36 tons. The engine was still the same 11.6 L Maybach HL 116. The layout of the Pz.Sfl.V was going to be very dense. The increasing mass lead to some disappointing news: the top speed of the vehicle would not be greater than 20 kph. The installation of a large and heavy gun also required a serious rearrangement of components. Not only did the engine compartment have to be moved, but the hull had to be lengthened to make it bearable for four men to work in it. The second Pz.Sfl.V prototype, gun at maximum depression. The strange caption is the work of American intelligence. The full name of the Henschel and Rheinmetall Borsig design was 12.8 cm Sfl. L/61 Pz.Sfl.V. A contract was signed with Rheinmetall Borsig for four 12.8 cm Kanone L/61 guns. As for Henschel, the company received an order for two Pz.Sfl.V pilots, due in December of 1940. In case of successful trials, 100 SPGs would be ordered. German command must have been populated by optimists. The VK 30.01 program was behind schedule, and dragged the Pz.Sfl.V with it. While prototypes of the tank were completed in 1940 after all, the SPG continued to exist as a draft. There were no more targets for it, as the Maginot line was taken in May-June of 1940 along with half of France, and no other fortifications that could have impeded the Wehrmacht were left in Europe. The same vehicle from a different angle. In this position it was possible to service the engine without removing the gun. The vehicle remained in this embryonic state into July of 1941. Then it was estimated that the prototypes would be ready in August-September, but that was also wrong. The SPGs, now called Pz.Sfl. 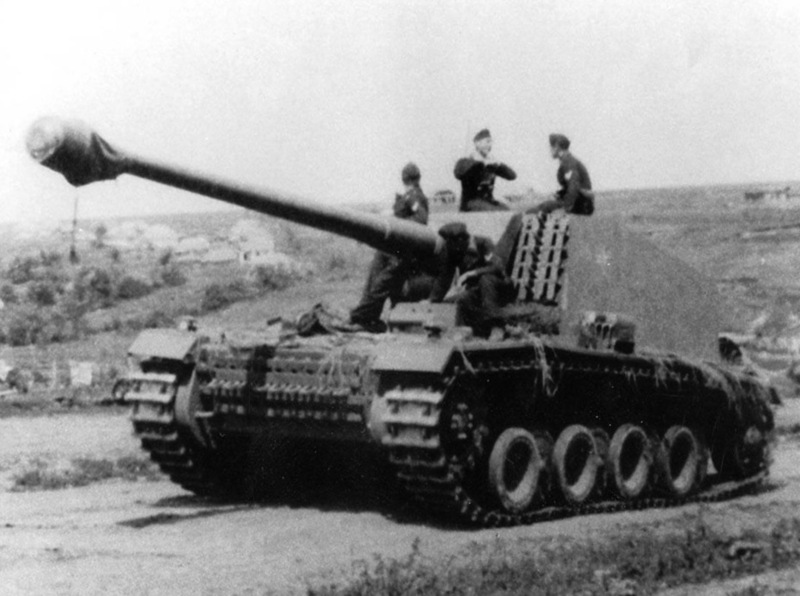 für 12,8 cm K40, were only completed by March of 1942. At this point, they had neither a target nor a chassis. The 6th Department of Armament cancelled the VK 30.01(H) program on January 30th, 1942. The chassis of the pilot tanks were converted into training tanks. Although, two of them were used to built the Pz.Sfl. für 12,8 cm K40. The crew got in through the rear hatch. It was placed so high up that it needed steps. 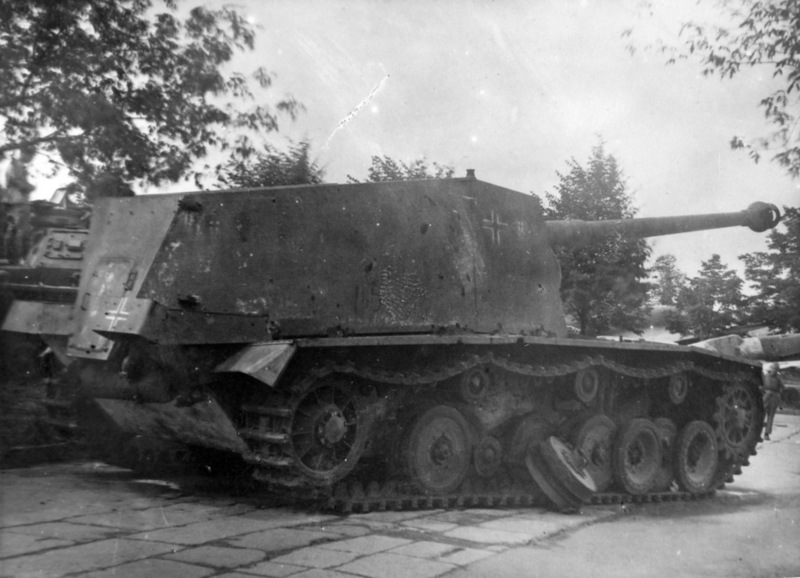 Little was left of the VK 30.01(H) after the changes. The hull was lengthened by 1.5 meters, which triggered changes to the suspension. A pair of road wheels was added to each side, the return rollers were moved. The number of track links increased to 85 per side. The torsion bars of the last two pairs of road wheels were strengthened to compensate for the increased load. 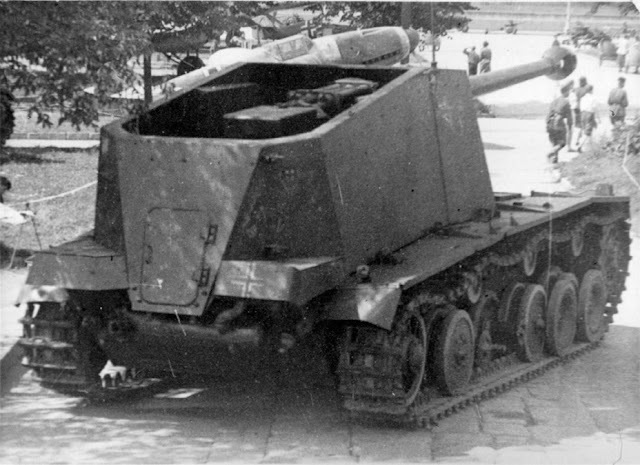 The evacuation hatches on the sides were inherited from the VK 30.01(H), but they were completely redesigned and moved backwards. The left evacuation hatch was used by the driver, but a misunderstanding happened with the right one. It was completely blocked by a fuel tank, and thus was impossible to use. The left side of the fighting compartment. The gun is marked RV 3. 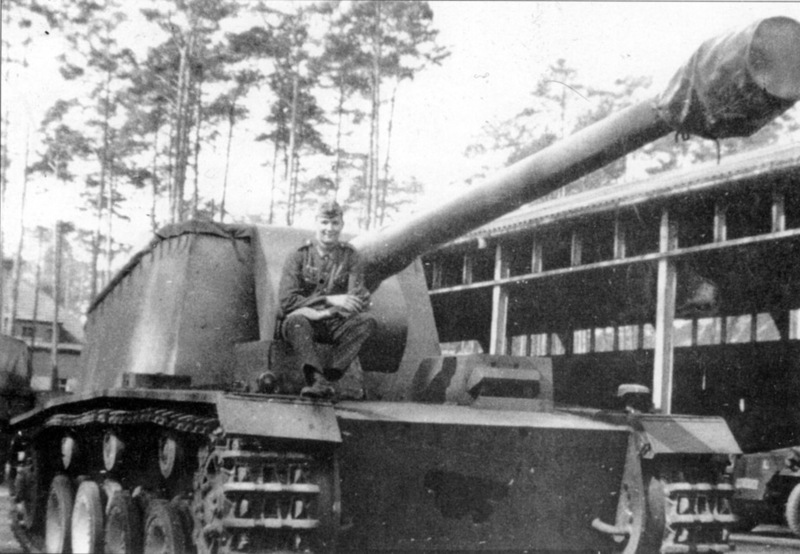 This gun was installed in the second Pz.Sfl.V prototype. The fenders were taken from the VK 30.01, albeit with some changes. Rear fenders were also attached to the sides of the casemate. The ribbed sheets on the additional fenders were thicker and had a different design. The side panels were also reinforced. The right additional fender held a smokescreen device. The lights and signals were typical for German tanks of that period. Two large headlights were placed in the front with caps for hiding them at night, as well as a Notek night driving light on the left and a Bosch horn on the right. Another Notek light was placed on the rear left, and a Bosch marker light on the right. Enumerated ammunition rack compartments. The open slots held the shells and the closed boxed hed the propellant. The entire front, including the upper front plate, was changed. A driver's cabin was installed on the left side. A false cabin was installed on the right, which could be flipped up to reveal the fuel tank cap. Despite a common opinion, this false cabin was present on both vehicles. A massive casemate that took up more than half of the hull was added to the rear. It was assembled from 15-30 mm thick plates. Most of the roof was open, and only the gunner and commander had small covers over their head. 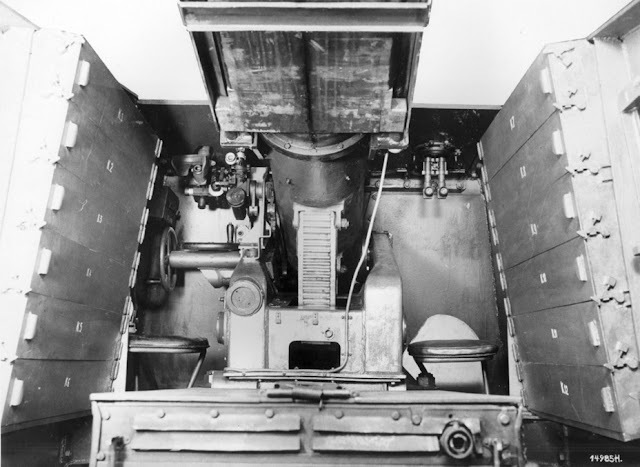 The breech of the 12.8 cm Kanone L/61 occupied most of the space of the fighting compartment, so even its impressive dimensions left it cramped for four crewmen. The gun used an Sfl.ZF panoramic sight, which peeked out of an opening at the top of the roof. The gun was put on a massive pedestal above the Maybach HL 116 engine. The gun could be aimed from -15 to +10 degrees in the vertical plane and from 7 degrees to the right to 5 degrees to the left. 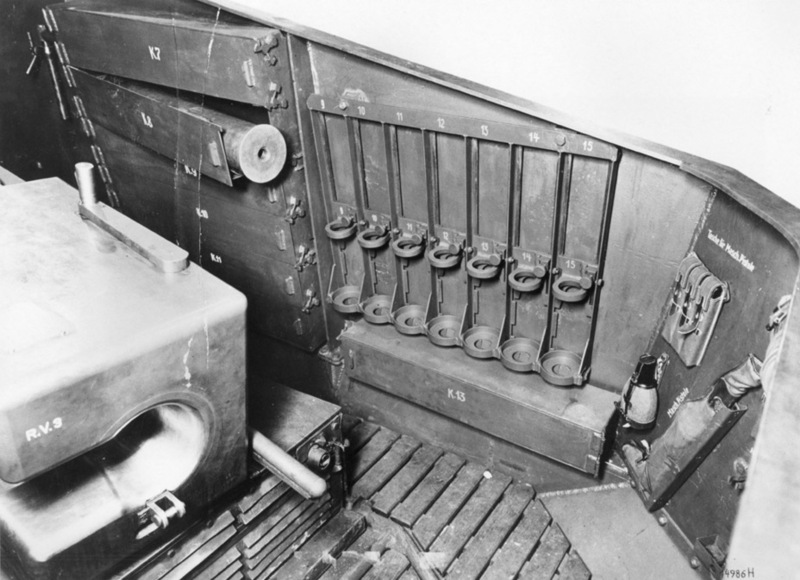 The commander and gunner's stations. The commander does not yet have a radio. The engine was housed underneath the gun, which meant that its replacement turned into a remarkable performance. The position of the engine under the gun meant that removal, or even repair, was a rather complicated task, especially in the field. In order to allow access to various components, the floor was made up of hinged wooden panels. 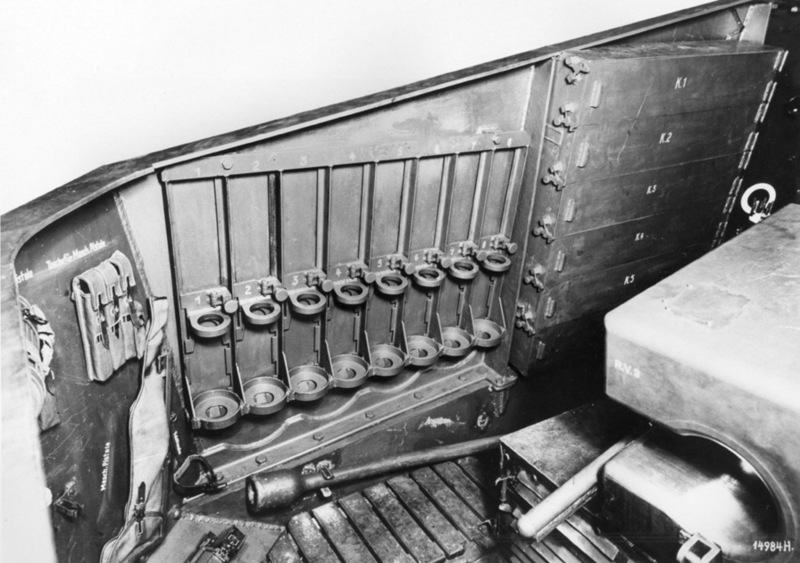 The ammunition, consisting of 15 rounds with separate propellant (8 AP and 7 HE), was housed in special racks along the side of the fighting compartment. A hatch allowed the crew to enter the vehicle, which was equipped with a ladder for additional comfort. In case of rain, a tarp was provided, which was held on with clips. The vehicle was equipped with a Fu.Spr.Ger.a radio. Its antenna was located on the right side of the casemate, near the commander's station. The SPGs built by Alkett in Spandau had several differences. 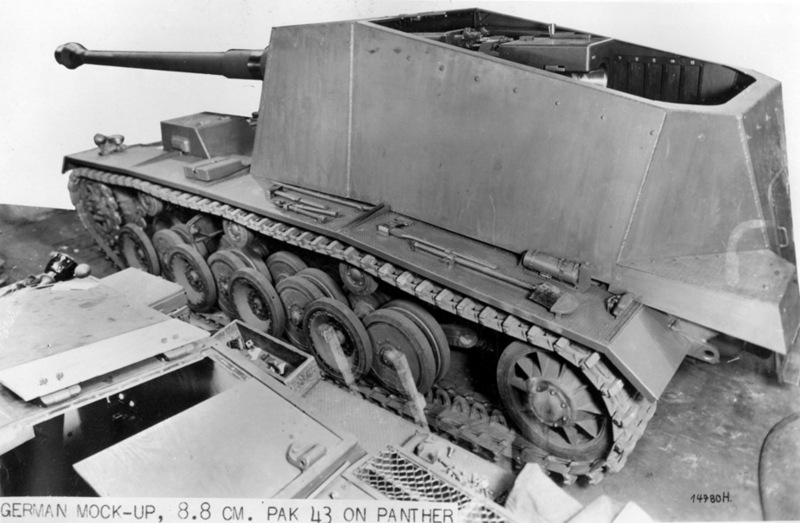 After the vehicles left the factory, the second prototype received PzIII style tow cable brackets. This was only the beginning of the long list of changes that the Pz.Sfl.V underwent during use. The second Pz.Sfl. für 12,8 cm K40. The vehicle has the new tow cable brackets, but still retains its false driver's cabin. It was already clear by late 1941 that the purpose of the SPG would change. 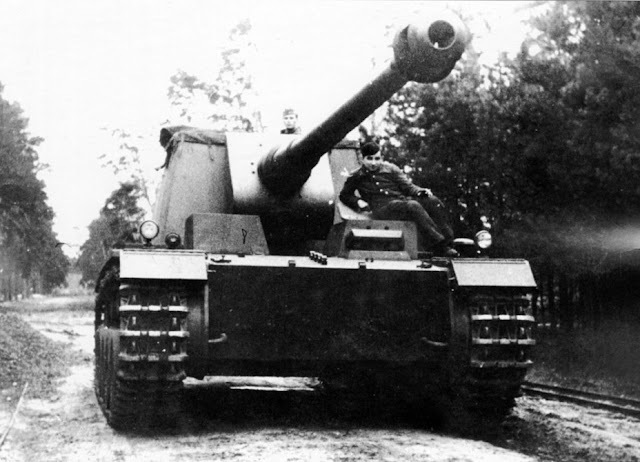 The Germans began receiving information regarding the production of superheavy tanks in the USSR. 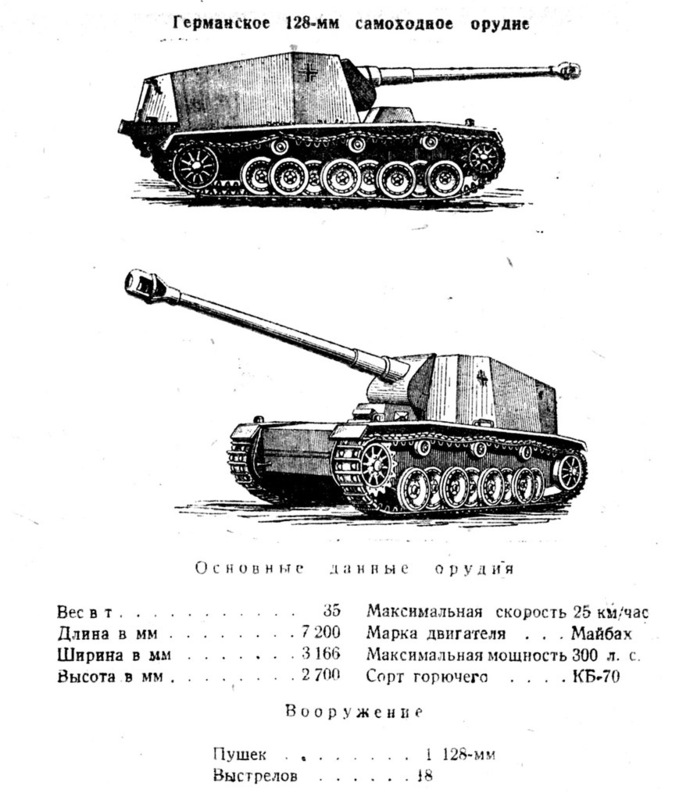 It is not known if these were echoes of the very real KV-3, KV-4, and KV-5, but requirements for a superheavy VK 70.01 tank were ready by November 1st, 1941. The Germans were also impressed by their encounters with the KV-1 and KV-2. It is not surprising that bunker busters were reclassified into tank destroyers. This happened in the spring of 1941, when two Pz.Sfl.IVa were included into the 521st Tank Destroy Battalion. The results of their use were mixed. On one hand, the firepower of the Pz.Sfl.IVa was greater than that of the 47 mm gun of the Panzerjager I. On the other hand, the vehicles were very slow. Additionally, its ability to penetrate the armour of the KV-1 was never confirmed, as the vehicles were evacuated from the battlefield in both cases by Soviet repair crews. As a result, the Pz.Sfl.IVa was never put into mass production, but the surviving SPG was not removed from service either. The SPG was sent back for refurbishment, then ended up in Jüterbog, south of Berlin, in the spring of 1942. The first Pz.Sfl. für 12,8 cm K40 prototype in Jüterbog. The false driver's cabin is still present, but the headlights have been removed. Both Pz.Sfl. für 12,8 cm K40 prototypes ended up in Jüterbog in May of 1942. An order issued on May 15th, 1942, joined these vehicles and the refurbished Pz.Sfl.IVa into a special platoon in the 521st Tank Destroyer Battalion. The crews started to get settled in their vehicles, and that is when they started to change. The false driver's cabins were removed from both vehicles at the same time. Holders for spare track links were added to the left and right of the gun. Holders for spare tracks were added to the front plate as well. 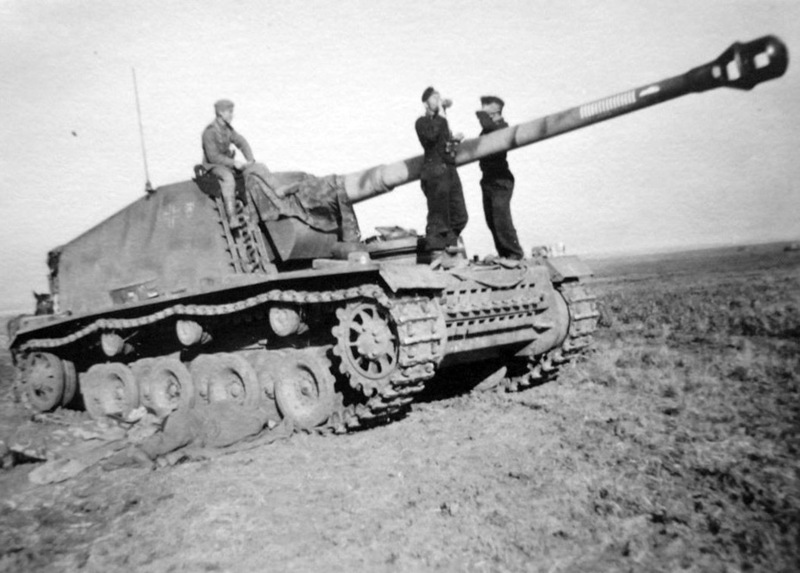 In addition, according to photographs, the second Pz.Sfl. für 12,8 cm K40 lost its headlights. The final look of the Pz.Sfl. für 12,8 cm K40 was significantly different from their "factory fresh" form. All three vehicles arrived at the front no later than early July of 1942. A month before that, their battalion was included into the 17th Army Corps of the 6th Army. Between the order being given and the deployment, both Pz.Sfl. für 12,8 cm K40 underwent a transformation. The biggest change was the new headlights with armoured covers, identical to those used on the Pz.Sfl.IVa. Both vehicles received them, which is logical. At least the lights of the heavy tank destroyer platoon were unified. Moritz soon after arriving on the Eastern Front. There is little information on the combat use of the Pz.Sfl. für 12,8 cm K40. However, the name they received in combat is well known: Sturer Emil (stubborn Emil). It's not hard to guess why: despite a theoretical top speed of 25 kph, the vehicles could not accelerate past 20 kph. Another cause for the nickname comes from the experience with these vehicles in battle, which will be discussed later. The name Sturer Emil applied to this type of SPG as a whole. Each vehicle had its own name. According to the report of the commander of the 521st Tank Destroyer Battalion, Oberleutnant Kurt Hilderbrandt, the first vehicle was called Max and the second Moritz, after the mischievous characters. Suffice it to say that their adventures ended poorly. Powerful armament and skilled application made its mark. However, crews continued to complain about the small ammunition capacity. 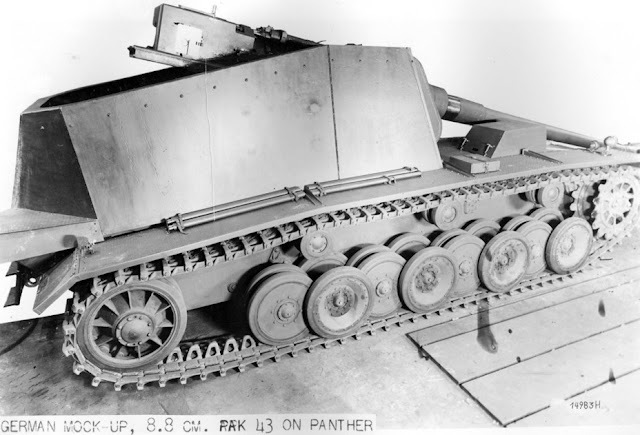 As of July of 1942, the 521st Tank Destroyer Battalion included two companies of Marder III (SdKfz 139), one company of Panzerjager Is, and a platoon of heavy tank destroyers (in the second company). Heavy tank destroyers were to be used against medium and heavy tanks, while the Panzerjagers Is dealt with infantry and light tanks. The low speed of the heavy SPGs meant that they had to fire from large distances. Max quickly started showing engine trouble, so most of the work fell to Moritz and the Pz.Sfl.IVa, which was nicknamed "Brummbar". Max broke down as usual. Constant issues with the engine and suspension earned the vehicle its nickname "stubborn Emil". Moritz's crew attained impressive results during the fighting in July. The number of confirmed kills is not known, but one photo shows 31 kill markings on the barrel. According to existing information, the gun was used from 800-1500 meters. Both AP and HE shells were successfully used. Moritz's main opponents were T-34 and KV-1 tanks. Max didn't sit idle. His barrel showed kill marks too, but not as many. In general, the tactic of using these vehicles for long range shooting paid off. Nevertheless, the soldiers did not like the heavy tank destroyers too much. First, their ammunition capacity was too low. Second, the suspension was overloaded, especially in the rear. As a result, they had to be repaired frequently, often in the field. Break between battles. In total, Moritz's crew claimed at least 31 tanks during the summer of 1942. An impressive result, especially for an experimental vehicle. Intensive use made its mark on the vehicles, especially Moritz. The rear was overloaded, which lead to rapid wear on the road wheels. As a result, a pair (and sometimes more than one) of spare road wheels often found itself in place of the false driver's cabin. Lots of other items were usually stored on top. On the left fender, behind the jack block, two 20 Liter canisters and their holders were installed. Several photos show a box above the crowbar, mallet, and metal cutter holders, but it was likely not permanently attached. Another box was welded underneath the antenna mount, the others seemingly were just lying on the fender. The number of boxes varied from one to four. Moritz closer to the fall of 1942. Issues with road wheels forced its crew to carry spares on the roof of the hull. Max couldn't brag about such additional equipment. Unlike his brother, there were no spare wheels, and only one box was added to the right fender (right after the jack block). However, the extra rear fenders were not empty. The left was always covered in items covered with rags, the second held a jack. Moritz's crew went even further: on the rear right of the casemater there was a vertical holder for a jack, and another jack was placed on the fender, like on Max. The tarp was held in the same way on both vehicles: on the rear side of the casemate roof. The 521st Tank Destroyer Battalion remained in the 6th Army through the fall-winter of 1942. Sadly, the information on the combat performance of the "Emils" is sparse, and no photos are known. It is only known that both vehicles were a part of the battalion on November 12th and were fighting near Stalingrad. As of December 1st, only one vehicle was listed in the battalion. Presumably, Max had been lost by then. The 521st battalion ceased to exist in January of 1943, sharing the fate of the 6th Army. Captured Pz.Sfl. für 12,8 cm K40, February 1943. 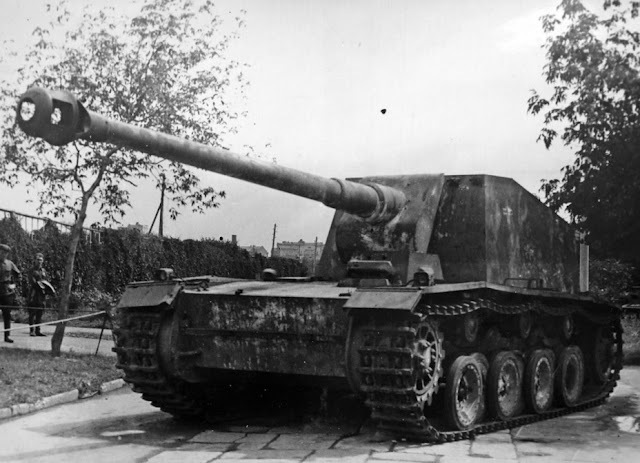 German 150 mm SPG. A dead German gefreiter named Wilhelm Wise from the 1st Battalion of the 190th Artillery Squadron near Voronzeh had a photo on him, which allows us to deduce that the Germans equipped an SPG with a 150 mm gun. The same vehicle at an exhibition in Moscow. The dead soldier had a photo of the Pz.Sfl.V made during training in Jüterbog during the spring of 1942. Moritz, which the Germans abandoned along with the other vehicles of the 521st battalion, fell into the hands of the Red Army. It was captured near Novoalekseevka village, which is north-west of Stalingrad. At the moment of its capture, Moritz was undergoing repairs, and there were seveal wheels missing from the right side. 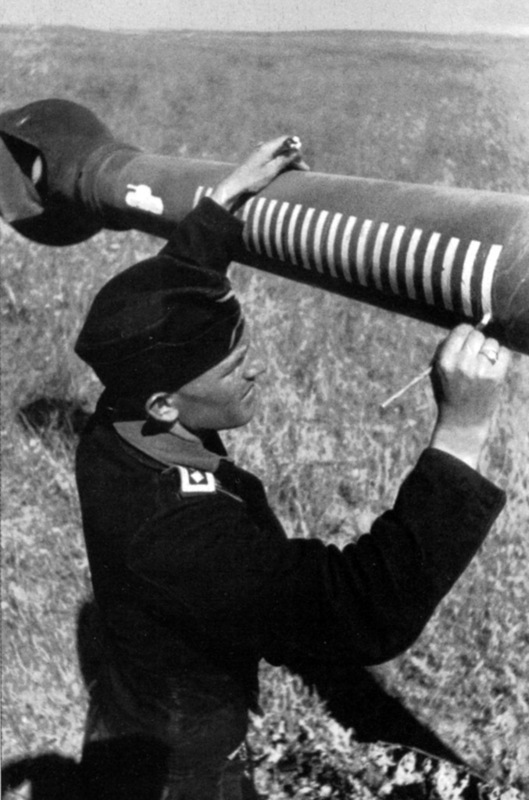 Interestingly, the number of victory marks on the barrel was reduced to 7. Perhaps it has to do with a change in crews. The same vehicle from the front. Remnants of the tow cable holders characteristic of Moritz can be seen. The SPG was delivered to the NIBT proving grounds in Kubinka. 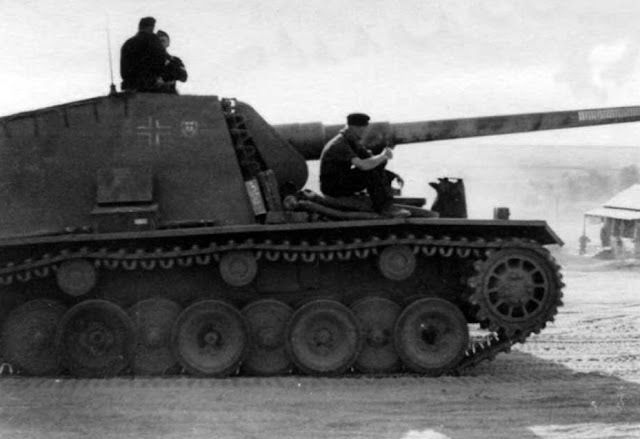 Due to a lack of components, mobility trials were skipped, as were gunnery trials (because of a lack of ammunition). A brief description was composed in March of 1943, which was very precise. The description was composed using information from prisoners of war, which pointed out that the SPG was used in a special unit. This unit was tasked with fighting Soviet medium and heavy tanks from long range. The prisoners also said that firing on mobile vehicles from the heavy SPGs was difficult. The vehicle was later repaired. Presently, the right side has all of its wheels. The ones that were lost were replaced with newly made wheels. An idea for creating an analogous SPG using a 122 mm A-19 gun on a KV-1 chassis was pitched after this information was received. 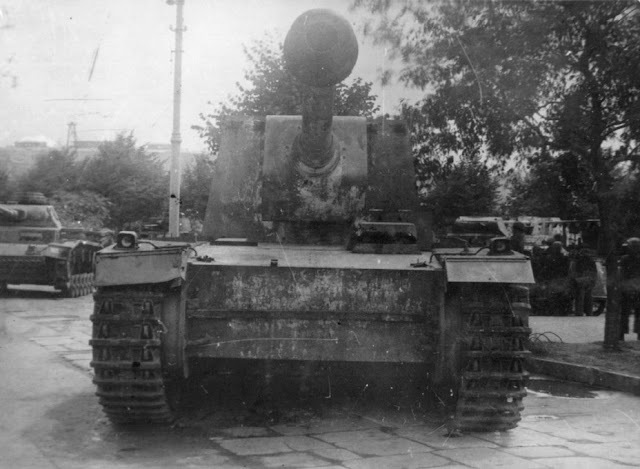 In a way, one can consider this the starting point for the creation of the ISU-122, although the real start of the A-19 SPG program was in April of 1943, when a captured Tiger was tested. From this angle, you can see that the fighting compartment interior was still present. Today, the casemate is completely empty. After the vehicle was studied, it was sent to an exhibition of captured armament in Gorky Park. It remained there for quite some time. The captured SPG attracted the attention of American soldiers. They asked to take the vehicle for study, but the request was denied. The vehicle was not a secret, but this was the only sample in Soviet hands. Unlike many vehicles from that exhibition, which were scrapped in 1948, this vehicle escaped that fate. The SPG returned to Kubinka, where all of its components were removed and sent for study. The SPG was placed on display. Today, it can be seen on display in the Kubinka Tank Museum, a part of Patriot Park. Perhaps the vehicle will later be moved to the park's main display area. Drawings of the SPG and its characteristics made it into reference books composed after the summer of 1943. 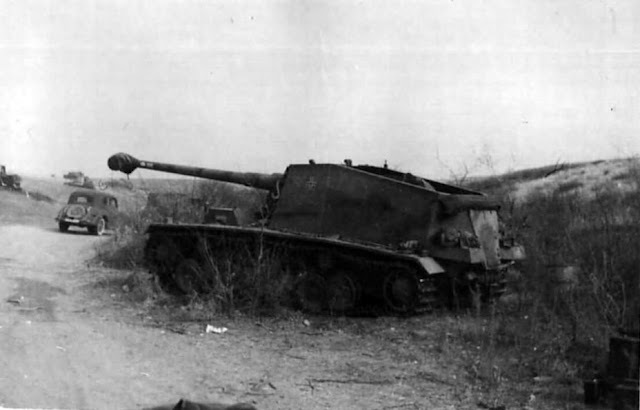 Despite only one SPG being captured, it left its mark in history. Studies of the sample made their way into specialist literature. Information about the vehicle was included in reference books. And reports of sightings made their way from the front. For example, on July 20th, 1944, an Elefant from the 653rd Tank Destroyer Battalion was mistaken for a "128 mm SPG". This vehicle was used in an ambush which the 71st Guards Heavy Tank Regiment fell into. As a result, three IS-2 tanks were lost and three knocked out. The commander of the regiment, Guards Lieutenant Colonel Yudin, died in this battle. Lieutenant Slyunyaev's IS-2 knocked out the enemy vehicle. On the 24th, he destroyed another one, at Magerov. In some documents, this vehicle was also listed as "128 mm SPG". Walkaround of the Sturer Emil in the Kubinka Tank Museum.